My first 10" Wing IBT Android Tablet. In the last couple of years with the appearance of tablets, I’ve been contemplating whether it is worth spending my money on getting one. The biggest reason for me is at least professional – I would like to avoid collecting and storing more paper sheet music and also use it to learn and perform onstage without having to carry around several folders of music everywhere I go. Then, my wife made the choice for me and bought one for my birthday! After playing around with it for a few weeks I have decided that, like the MP3 player for audio recordings, the tablet is the future of sheet music in my opinion. How does it work and how practical is it? In short, there are still a few serious short-comings to be addressed, and you need to be computer-saavy to use one effectively, but ultimately it is a very useful alternative to paper music. In this blog are tips and what I see are the advantages and disadvantages. I originally wrote this in 2014, but have since updated it in 2018 and boy have things improved! The recommended tablets depend primarily on what operating system you are comfortable with. Since going digital in 2014, I have since broken my rather basic Wing IBT Android tablet and replaced it with a Samsung Galaxy Note 10.1. This is a 10-inch tablet running Android operating system with a stylus that writes like a pen. This was the first tablet on the market which had a stylus of this quality and I would still recommend this over any other android tablet. Despite the fact that the Samsung Galaxy Note phone has a reputation for exploding and is not allowed on aeroplanes, the tablet is perfectly safe. A friend of mine recently started using his iPad Pro for a music reading device. It seems, since I wrote this article, Apple has changed Steve Job's policy of never allowing a stylus to be sold with his tablets and released the Apple Pencil. The tablet is also comes in 12.9" format, has a great screen resolution, which makes music a bit more readable in performance than a 10 inch tablet. So finally Apple has started becoming competitive in this regard. Any other tablet which does not have a custom Stylus I would not recommend, including the other varieties of Samsung or iPads. A generic stylus is very clumsy and it is very difficult to write accurate notes on your score. The S-Pen only works with the Samsung Galaxy Note and as far as I have read, the Apple Pencil only works with the latest iPad Pro. 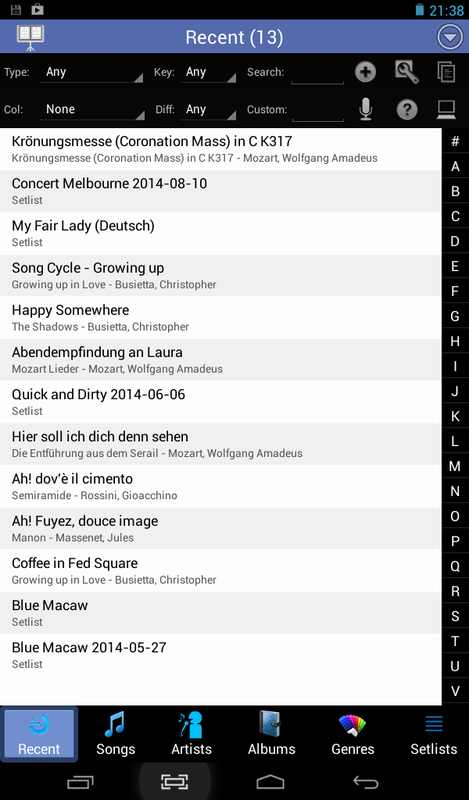 Menu of MobileSheets Android app. So you have your android tablet / iPad. Before you even copy any music onto your tablet, you must know what software you are going to use as a reader. You can read, highlight and annotate Adobe PDF scores with the android version of Adobe Reader, which is free to download. This is fine if you are reading at home, but for me it is not fast enough to use in performance or rehearsal situations. I use an app called MobileSheets, which is a faster reader optimized for music, supports complicated annotations and also catalogues your music properly. It’s not free, but is very inexpensive ($6). If there happens to be margins in a PDF for paper printing, MobileSheets (unlike Acrobat reader) will in most cases be able to trim the margins away for you and, if that fails, has a global zoom feature that allows you to fit the music more snugly into the tablet screen for easier reading. Electronic version of Mozart's Coronation Mass. Annotated with MobileSheets Android app. The easiest way to get sheet music is to download electronic opera scores from publishers such as CD Sheet Music or download public domain versions from somewhere such as IMSLP/Petrucci Music Library. All you have to do is download it directly from the internet onto your tablet (or transfer it from your computer) and it's ready to go! The downside is, everything is a new edition, so you can never be sure if it’s as accurate as your Ricordi or Bärenreiter opera score. You may not want to lose anything you have bought in hard-copy and use what you already own. The bad news is, scanning scores into your computer requires serious technical know-how and is very time consuming. Especially when compared to photocopying a score. For this reason, I would only recommend doing this for single songs and not trying to scan whole opera scores. 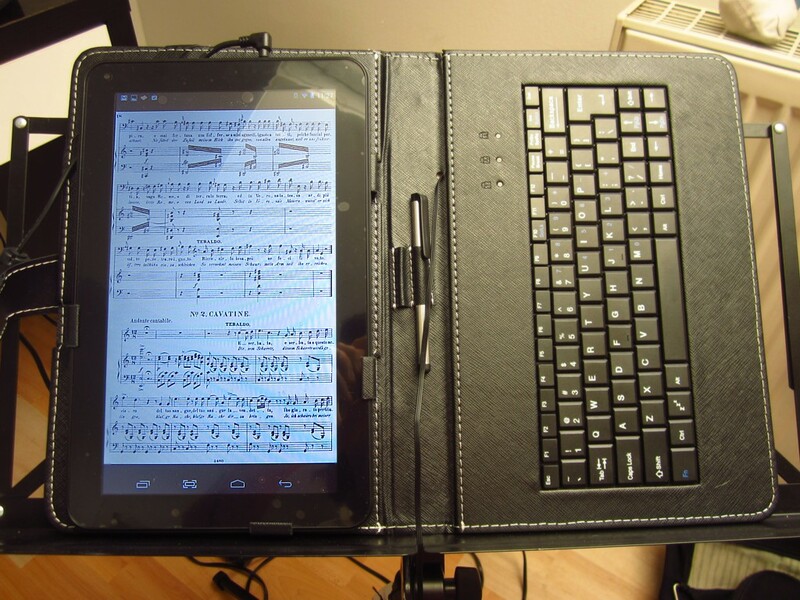 To scan and edit the sheet music, you need several pieces of software. If you plan to scan a lot of music, I recommend using Google's Picasa to crop, edit and resize the images. It’s free, very powerful, very easy to use and most importantly it’s very quick. Using Photoshop is overkill for this sort of thing. Once you’ve scanned all your JPEGs and edited them, every now and then you will need to e-mail them to a pianist. Then you will need to convert them into a PDF format, which is the easiest to actually print from. I use PDFill PDF Tools, which is free software for editing PDF files. You can convert JPEG to PDF and also the reverse. This is important because PDF is the format which is easiest to print and e-mail (because it is a single file). If you have electronic scores, you can also use this tool extract arias from complete scores. 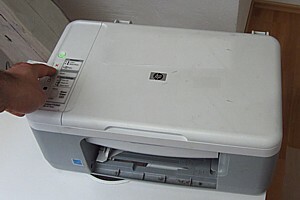 I have a HP Deskjet F2200 series all-in-one scanner/printer/photocopier. To scan one page of music at 200dpi, it takes 38 seconds – compared with the photocopier at the Augsburg Stadtbücherei (library) which takes 7 seconds to make a copy of the page. If you are on the go, you can also use a digital camera (or mobile phone) to take photographs of the score. But it's always worth using a scanner if you have the option to take the music away with you for copying. Once you scan, you will invariably need to then edit the image to make it look the best on a tablet screen.  This involves converting to black and white (unless you have scanned in black and white), whitening the background (adding “brightness”) and darkening the text (adding “contrast” or “shadow”). Finally cropping out the margins from the image to make the notes as large as possible on your tablet. This takes me about 15 seconds per image in Picasa and I’m very quick. After you have edited all the files, you want to make sure that they are shrunk in size so they don’t take up too much hard disk space. It’s not a problem at first, but once you start getting hundreds of songs, it will be. Plus, the smaller the image, the quicker it loads in your reading software when you turn a page. Picasa has a very nice export function where you can set the size of the outputted images and then export all the images you have just scanned in one go. Once you have scanned, if you are intending to use Adobe Acrobat Reader instead of music-reading software such as MobileSheets, you will then have to convert all the JPG images into PDF format. This is also necessary if you plan to print out your music for any pianists (or other singers) you might work with. If you are using MobileSheets, then you can import the series of JPGs directly (as one piece) without having to convert to PDF format. The software also copies the music from the computer onto your tablet for you. I would always use the JPGs over a PDF, because they will run faster in MobileSheets. So, as you can see, just getting your sheet music into a readable format takes some effort and technical know-how! 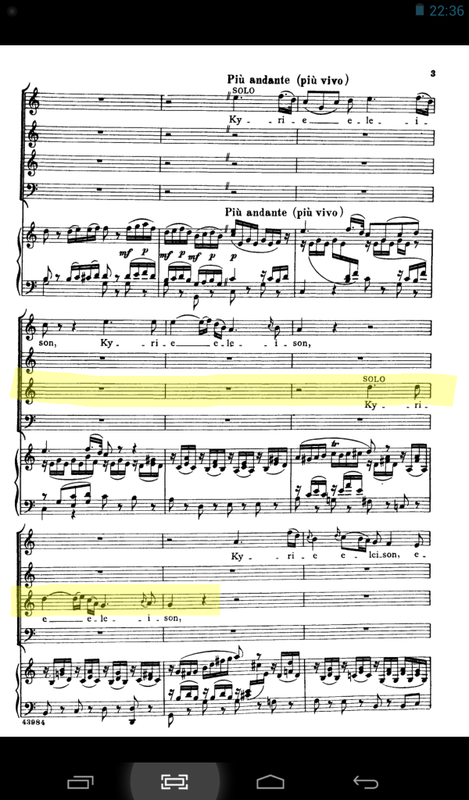 Obviously, if you need to scan the whole of the Marriage of Figaro, you would probably need to spend ten labour intensive hours doing it if you know what you are doing. However, the advantage is, once it’s in, it will be easy to read and also print very well If you need to make copies for pianists. Charging my tablet with solar USB Adaptor. 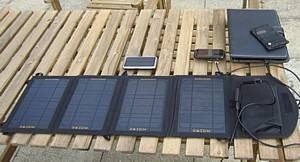 (The small portable phone-sized solar power bank is above the big Girafus solar panel). One thing that I seriously thought about was the environmental impact of using a tablet versus using normal paper. As someone who actually wants to attempt to reduce the waste in today’s world, I decided to look into whether I could use a tablet without fuel. To my surprise, I have recently discovered there is a wealth of USB solar chargers and since I have bought one, I haven’t plugged it into the powerpoint once. However, if you buy one of the larger portable solar chargers (I use one made by a company called Girafus Technologies that has four large folding panels) then you can charge the tablet in three to four hours of direct sunlight. I also have USB rechargable battery packs to store extra energy on particularly sunny days, so that I can recharge my tablet on particularly cloudy days as well. A tablet means you don't have to pick which of these to take on holiday. 1. You don’t have to carry lots of folders with you. I was performing My Fair Lady every day. I was preparing Hänsel und Gretel for next season. If I had been using paper, this would mean potentially that I’d have to be choosy about which books I want to drag around with me - especially as I brought this all from Germany to Australia. It transforms having to bring several folders and thick scores to merely carrying your tablet and charger with you. I saved several kilograms in my luggage. Scanned version of My Fair Lady. 2. Annotations are clear, easy to erase and multi-colored. When you annotate with your tablet, you can very easily highlight in any color. Entering text is simply a matter of typing the text, selecting font and size and moving it into position. Drawing simple shapes like lines, squares and circles is also very quick and easy to do. And erasing, changing colors, font size and line thickness of every element is very easy and flexible. 3. You never have to manually file or search for scores again. 4. You can quickly find, download and immediately use sheet music from the internet without having to drive to the music shop. 5. You can also store recordings and videos alongside your sheet music. They may look neater, clearer and cleaner, but annotating on a tablet is not yet as instantaneous as putting pencil to paper - at least with the software I've used. For example, with MobileSheets, you have to click on the screen to open the toolbar, select the tool, then annotate and then save afterwards. Each time select the tool, it takes a second to load and also a second to save. It’s a very short delay, but when rehearsals are running quickly and the director is talking a million miles an hour, then it can be a problem. Though things have improved a lot with the stylus' available from Samsung and Apple, it isn't quite as easy as drawing with a pencil. For example drawing musical notes, it is sometimes very difficult to connect the stem to the main note perfectly. Some annotations are greatly improved on a tablet as mentioned above - because you can type text neatly instead of hand-writing. I sometimes hand-write in rehearsals and then re-type my notes for clarity. As a singer, if you need to draw complex drawings like stage directions then it also becomes a bit tricky - but once again that is more an issue with the design of the drawing tools than an issue with the tablet. But without a good stylus you can forget about it completely. Sometimes the music can be very small and difficult to read - particularly if you are using an scanned opera score which is A4 sized is then shrunk onto a 10 inch screen. With a tablet you only see one page at a time before you have to turn. You can get used to this, but every now and then it would be nice to have double sized screen to reduce page turns. As a side note as my career as a guitarist, you can buy Bluetooth pedals that can turn pages with your feet - just make sure that the tablet you buy are compatible with this. 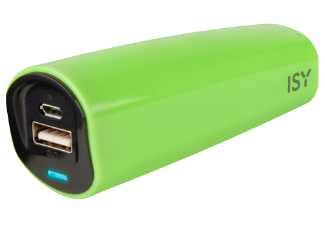 ISY Mobile Powerbank (USB Battery Charger). Extra power for your tablet at long rehearsals. Constant use of a tablet while using the sheet music app will drain the power in about two hours. So you usually need a battery pack or two on hand to get through a rehearsal. Before one gig, my tablet gave me a panic attack when right before a concert, instead of taking two minutes to load, it booted in about six minutes. This brings me to the point that tablets are computers and therefore can crash on you. Or run out of power. Of course, printed music is also not indestructible. It can be destroyed in your bag, coffee can be spilt on it, you can forget pages or even whole arias at home. At least in the case of digital sheet music, everything is with you all the time. In opera rehearsals, I tend to throw my score around a lot. Either I bring it onstage with me, or I leave it just offstage on the floor so that I can check music, words or stage directions in between scenes or in between pauses in scenes. Of course, a tablet is a delicate, expensive piece of electronics you need to be gentle. So it isn't always appropriate in rehearsal/performance situations where it could be damaged. In actual fact, I broke my first tablet when it fell off a rather flimsy music stand. Be very, very careful! In my experience so far, I think tablets are certainly very useful in concert situations. I have used it in rehearsals and live in performance when playing my original music and even in oratorio concerts. Of course, it's biggest strength is in learning music for my private recitals, concerts and operatic roles. Nothing is more luxurious than carrying a whole library with you without taking four or five books of folders in a suitcase when you travel. However, at the moment, anything that requires lots of very quick or complex note taking and situations where you just want to throw or leave your paper scores lying around – eg. jumping in for another theatre or stage rehearsals, then it is better to have a printed score or a notebook also with you. MobileSheets Android app - The best sheet music reading app I have found for Android tablets (Android: Full Version | Trial Version). 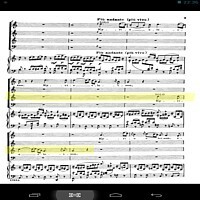 Adobe Acrobat Reader - Free software to read and annotate electronic sheet music in PDF format on your computer (Android Version). IMSLP/Petrucci Music Library - Public domain sheet music for classical and opera scores. CD Sheet Music Online - Company that publishes commercial quality digital sheet music. 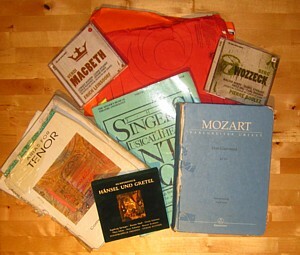 Complete opera scores and aria compilations. Picasa Photo Editing Software - Great piece of software for quickly editing scanned sheet music & other JPEGs. PDFill PDF Tools - PDF Editing software. 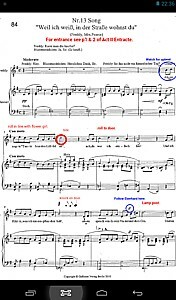 Can convert from PDF to JPG (or reverse), extract arias and ensembles from full scores, digitally crop sheet music and combine multiple PDF and JPG files into one file.